All groups tell stories about their beginnings. Such tales are oft-repeated, finely wrought, and usually much beloved. 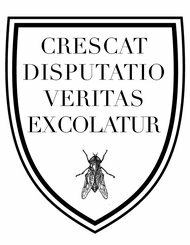 Among those institutions most in need of an impressive creation account is the state: it's one of the primary ways states attempt to legitimate themselves. But such founding narratives invite revisionist retellings that modify details of the story in ways that undercut, ironize, and even ridicule the state's ideal self-representation. Medieval accounts of how Norway was unified by its first king provide a lively, revealing, and wonderfully entertaining example of this process. 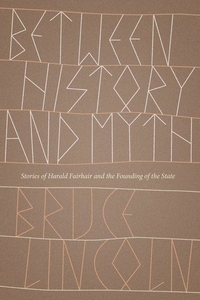 Taking the story of how Harald Fairhair unified Norway in the ninth century as its central example, Bruce Lincoln illuminates the way a state's foundation story blurs the distinction between history and myth and how variant tellings of origin stories provide opportunities for dissidence and subversion as subtle--or not so subtle--modifications are introduced through details of character, incident, and plot structure. Lincoln reveals a pattern whereby texts written in Iceland were more critical and infinitely more subtle than those produced in Norway, reflecting the fact that the former had a dual audience: not just the Norwegian court, but also Icelanders of the twelfth and thirteenth centuries, whose ancestors had fled from Harald and founded the only non-monarchic, indeed anti-monarchic, state in medieval Europe. Between History and Myth will appeal not only to specialists in Scandinavian literature and history but also to anyone interested in memory and narrative.